It took a while for the penalty to be introduced into English football. The penalty kick was first introduced by the Irish FA in the 1890/91 season with the Scottish FA following in January 1891. The FA introduced it into the English game at the start of the 1891/92 season. Many in the English game had rejected the idea of penalties as it implied that some players were ungentlemanly. However, an incident at the Notts County v Stoke FA Cup quarter-final on Saturday 14th February 1891 led to a change of opinion and the introduction of the penalty kick. With just seconds of the game remaining and with County 1-0 up their full-back Hendry denied Stoke an equaliser by handling on the line. The resulting free-kick was on the goal-line but the County 'keeper Toone easily smoothered it. Notts County went on to reach the final. apart from he missed it." The first successful penalty in the Football League was converted by John Heath of Wolves against Accrington at Molineux on Monday 14th September 1891. The following season Stoke were once again the victims in a match that saw another step forward in the penalty law. On Saturday November 21st 1891 Stoke were losing 2-1 to Aston Villa when they were awarded a penalty with seconds of the match remaining. However a Villa player kicked the ball out of the ground and by the time it had been returned the referee had blown for full-time. Later in that season the law was changed to allow time to be added to allow penalty kicks to be taken. It was not until the 1901/02 season that the 18-yard penalty box was introduced into the English game. Previously the penalty area ran across the entire width of the pitch. In the 1937/38 season the 'D' on the edge of the penalty area was introduced to ensure that all players are 10 yards from the penalty spot when the kick is taken. Matches between Crystal Palace and Brighton are always passionate affairs and perhaps none more so that when they played each other at Selhurst Park on Easter Monday (March 27th) in 1989. At the time Palace were fighting for promotion from the old Division 2 while Brighton were battling to remain in the division but it was referee Kelvin Morton whose performance was best remembered by send off one player, booking five more and awarding a record five penalties in just 27 minutes of play. Mark Bright scored the first to give Palace a 2-0 lead against 10-man Brighton, but missed the second when Brighton 'keeper John Keeley saved. Just five minutes after being awarded their first penalty they are awarded their third, this time Ian Wright hit the post with his effort. Shortly after the second half kicked off Brighton were awarded a penalty - Alan Curbishley scored - followed shortly after by another one for Palace - John Pemberton sending his effort into row Z. Palace eventually won 2-1 - and were promoted to the top flight via the play-offs - and Brighton were to keep their place in Division 2. I'm sure the hacks will have got their pencils sharpened ready to report on the return fixture! The record for penalties scored by a player in a season is held by Francis Lee who scored 13 League goals for Manchester City in the 1971/72 season (plus one in the FA Cup and one more in the League Cup). It earned him the nickname of Lee One Pen but as many penalties were awarded for fouls on Lee the not so favourable nickname of Lee Won Pen was also used as he had a reputation for diving. Ref Keith Hackett described him as a player who 'had a reputation of falling down easily'. As far as facing penalties go Ipswich goalkeeper Paul Cooper has the best record for saving them in a League season. In the 1979/80 season he saved 8 out of the 10 penalties he faced in Division 1 matches. "Same place as the other two"
was the reply, and that's exactly what he did! At the halfway stage of the 1973/74 League season (21 matches) goalkeeper Alex Stepney was equal top of Manchester United's goalscorers with 2 goals - both from the penalty spot. In a 48-hour period in March 1969 Geoff Hurst scored four times from the penalty spot. On Wednesday 12th March 1969 Hurst scored two penalties in a hat-trick for England against France at Wembley - the first England hat-trick since 'that one' in 1966. Two days later he scored another two penalties at Upton Park when West Ham beat Coventry in a Division 1 match. Both his sides finished up winning 5-2. In a Division 2 encounter at Fratton Park on Saturday September 22nd 1973 three different Notts County players - Kevin Randall, Don Masson and Brian Stubbs - all missed with the same penalty. The first miss was retaken because the goalkeeper moved, the second because the ref hadn't given the signal to take it and the third was a straightforward miss! On Boxing Day 1924 Nottingham Forest were losing 0-1 at home to Bolton Wanderers in a First Division fixture when they were awarded a penalty. Forest's regular penalty-taker Harry Martin had been carried off injured and no other player would take the kick. Forest captain Bob Wallace went to the dressing room and insisted that the injured player return to the pitch and take the penalty. Harry Martin was carried back to the pitch, took the penalty from a standing position, scored, collapsed and was carried off again. 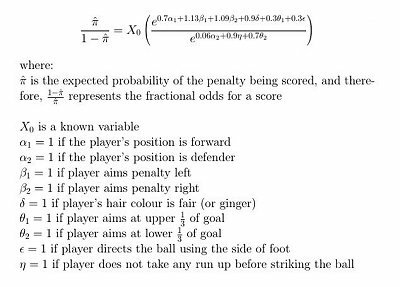 So can the study of statistics help someone become a better penalty taker? 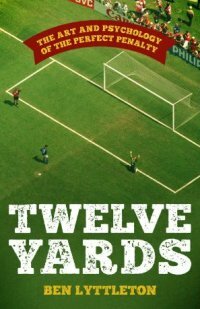 In his book Twelve Yards: The Art and Psychology of the Perfect Penalty Ben Lyttleton gave a few thoughts as what to do in a penalty shoot-out based on statistics. It is better for a team to kick first - a 60% success rate. It is best for a player to kick to win the match (92% success rate) rather than kick to save it (62% success rate). The best angle for a run-up to take a penalty is 30 degrees while a goalkeeper is at his best distracting the penalty taker if he wastes time for between 1.7 and 4.5 seconds before getting ready to face the pen. I wonder! More complex still was the advice given by Professor Stephen Hawking to England shortly before the 2014 World Cup finals. He produced a formula for the perfect penalty - one which I guess Wayne Rooney immediately committed to memory! It has to be said though that Paddy Power helped with the project so perhaps a tad tongue-in-cheek rather than something that will be studied in universities! The most expensive penalty miss? There are many candidates. One miss was by me in a cup final at school and another was on Saturday May 3rd 1924, the last day of the season, when Cardiff City needed a win to become Football League champions. At 0-0 against Birmingham, Cardiff were awarded a penalty but Len Davies missed it. As a result Huddersfield Town pipped them for the title on goal average. Well it seems that there is an art in winning a penalty - not the crude dive but the more subtle ways of fooling the ref. In 2012 Michael Owen admitted that he went down a little too easily when winning penalties for England against Argentina in the World Cup finals in both 1998 and 2002. He said that 75% of players winning a penalty could have stayed on their feet but its OK to go down in the penalty area even the slightest of contact. He added "It's a very difficult subject to talk about, especially to people who have not played the game. There is a major skill in trying to outwit an opponent. No one is for blatantly diving, of course they are not, but there is a part of a striker that actually tries to entice the leg to come out to try to win a penalty. It is a skill and it has been done for years and years and I don't think it will ever leave the game." After that admission I don't suppose any Englishmen can be critical of the 'Hand of God' goal scored in another England-Argentina World Cup match! "The most nerve-racking moment of my life came when I was filming the football movie When Saturday Comes. My character had to take a penalty in front of thousands of fans at Sheffield United's home end. It's the same end from where I've cheered United on all my life, and I've never been so terrified. Sean Bean, actor and genuine Sheffield United fan. OK, I know. As every referee and anorak will be saying they are not penalty shoot-outs - penalties are only awarded for foul play in the penalty area. They are kicks from the penalty spot. But hey, life is too short! "I still say these penalties to decide a match are like a circus, but I can't think of a better answer apart from a third game." Everton manager Harry Catterick after his side had become the first to win a European Cup match on penalties, in November 1970 against Borussia Mönchengladbach. There was a time when drawn cup-ties were decided by perhaps endless amounts of replays or even the toss of a coin. The problems of fitting replays into ever more congested fixture lists - and television scheduling - was causing problems while the tossing of a coin just wasn't a footballing way of deciding ties - and wasn't good on television! So in the summer of 1970 FIFA and UEFA changed the rules to allow the shoot-out to be introduced. 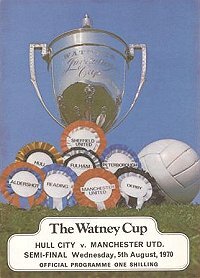 Within weeks of the rule-change the first penalty shoot-out in a professional match in England took place in the first sponsored competition played in the country, The Watney Cup. It was a perfect competition to introduce the shoot-out with three rounds in just a week in pre-season there was no room for replays. So on Wednesday 5th August 1970 before 34,007 faithful at Boothferry Park Hull City entertained a full-strength Manchester United in the semi-final of the competition. At the end of 90 minutes it was 1-1, at the end of extra time it remained 1-1 and so penalties it was, five apiece as a start. None other than George Best took the first penalty in a shoot-out and scored. Player manager Terry Neill scored for Hull - 1-1. Brian Kidd scored for United, Ian Butler for City - 2-2. It became 3-3 when Bobby Charlton and Chris Simpkin scored for their respective clubs. Then Denis Law entered history by becoming the first player who failed to score, Hull 'keeper Ian McKechnie making a save. Hull's Ken Wagstaff missed his so still 3-3. Willie Morgan made it 4-3 for United and it became sudden death for Hull - they needed to score to be able to continue with the shoot-out while a miss would see them lose. Up stepped Hull goalkeeper Ian McKechnie and the world - and McKechnie in particular - was soon to learn how quickly a penalty-saving hero can turn into a penalty-missing villain. His attempt hit the bar and went over, Hull were out, and the name McKechnie became the first to be engraved on a long list whose enduring fame is largely reliant on a penalty miss! The Watney Cup. Where the Watney Cup led European competitions were soon to follow, although the shoot-outs were initially limited to the early rounds. Everton provided the first English involvement in a European shoot-out and on Wednesday 4th November 1970 Joe Royle became the first person to take a penalty in a shoot-out in the European Cup and his shot....was saved! 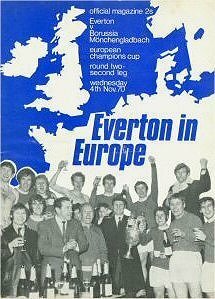 However Alan Ball, Johnny Morrisey, Howard Kendall and Sandy Brown all converted theirs and Everton defeated German champions Borussia Mönchengladbach 4-3 on penalties. Sadly that record of success was not continued in future England-Germany shoot-outs! The introduction of penalty shoot-outs in the two major domestic cup competitions - the FA and League Cups - took a little longer and as with the European competitions initially shoot-outs didn't cover all the rounds in either competition. 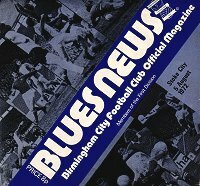 The first FA Cup match to be decided on penalties was between Birmingham City and Stoke City at St Andrews on August 5th 1972. An unusual date for an FA Cup match I hear you say but it was one of only five fixtures held to decide who would finish third and fourth in the FA Cup. The match was goalless but Birmingham won 4-3 on penalties - match details. It wasn't until 1991 that the rules were changed to allow the shoot-outs in the main competition itself with the first penalty decider being between Rotherham and Scunthorpe on Tuesday November 26th 1991. After drawing the First Round match 1-1 at Scunthorpe the shoot-out followed on from the 3-3 draw in the replay at Millmoor, Rotherham winning 7-6. The League Cup had introduced the penalty decider in 1975/76 but only for First Round ties. Even then the clubs had to finish the two-legged ties all square and draw a replay before penalties were used. 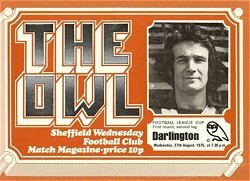 The first penalty shoot-out in the League Cup followed such a First Round replay when Darlington beat Sheffield Wednesday 5-3 on pens at Hillsborough on Wednesday September 3rd 1975. But progress of penalties through the other rounds was gradual and although the 1977 League Cup final needed two replays it wasn't until the 1997 final was replayed that the rules were finally changed to allow penalties for a final drawn in its first match. Czechoslovakia won 5-3 on penalties at the Red Star Stadium in Belgrade. It was memorable for the winning goal - Antonin Panenka chipped the ball into the middle of the net as German 'keeper Sepp Maier dived to his left. It was then the Germans decided not to lose any more penalty shoot-outs! Valencia won 5-4 on penalties at the Heysel Stadium, Brussels. The only European Cup-Winner's Cup final to be decided on penalties went Valencia's way when Liam Brady and Graham Rix failed to score from the six Arsenal pens. Liverpool won 4-2 on penalties at the Olympic Stadium in Rome. One of the few shoot-outs to be remembered more for a goalkeeper than those taking the kicks. Liverpool's 'keeper Bruce Grobbelaar's 'rubber-legs' routine providing the distraction to give Liverpool a European Cup victory on Roma's home ground. Brazil won 3-2 on penalties at the Rose Bowl in Pasadena. It is perhaps fitting that the first time the ultimate prize in football - the World Cup - was decided on penalties it was in the United States, the country where sporting draws are just not allowed to happen! Liverpool won 5-4 at the Millennium Stadium in Cardiff. First Division Birmingham kept themselves in the match with a 90th minute penalty equaliser but failed to score from two of their six efforts in the shoot-out to give Liverpool the Worthington Cup. Arsenal won 5-4 at the Millennium Stadium in Cardiff. Thirty-five years after the first penalty shoot-out in the Watney Cup at Hull the destination of the FA Cup is decided for the first time in a shoot-out. A save by Jens Lehmann from the normally 'Mr Reliable' Paul Scholes being the difference between the two sides. The 2012 League 1 Play Off Final at Wembley between Huddersfield and Sheffield United saw a goalless and disappointing 120 minutes of play. Then to penalties to put everyone out of their misery. Things didn't get much better with only two goals coming from the first 8 kicks. The outcome wasn't decided until all 22 players had taken penalties. After 20 penalties it was 7-7 with only the goalkeepers to go. Huddersfield's Alex Smithies scored his, Sheffield United's Steve Simonsen missed his - 8-7 to Huddersfield and they were promoted to the Championship. West Germany won 4-3 on penalties - they went on to win the competition. England won 4-2 on penalties to enter the semi-finals. There they met Germany and lost - on penalties (see below). Germany won 6-5 on penalties and went on to win the competition. Tuesday 30th June 1998 at Stade Geoffroy-Guichard, St Étienne, France. Argentina won 4-3 on penalties but were defeated in the next round, the quarter-finals, 2-1 against the Netherlands. Thursday 24th June 2004 at Estádio da Luz, Lisbon, Portugal. Hosts Portugal won 6-5 on penalties and went on to reach the final where they were surprising beaten 1-0 by Greece. Portugal won 3-1 on penalties to reach the semis where they were beaten 1-0 by France. Italy won 4-2 on penalties and went on to reach the final where they lost 4-0 to Spain. England won 4-3 on penalties to win their first World Cup penalty shoot-out, at the fourth attempt. England went on to reach the semis were they lost to Croatia and they then lost the 3rd/4th place match against Belgium. You would think that players who miss penalties - particularly vital penalties - would want to quickly forget the experience. Well not if a quick buck can be made! 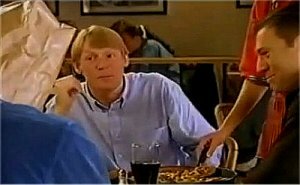 After Gareth Southgate missed the penalty that saw England lose their Euro 96 semi against Germany he teamed up with Chris Waddle and Stuart Pearce - who missed penalties against the same opposition in the 1990 World Cup semis - to appear in TV adverts for Pizza Hut. I'm not sure how many England fans found it humorous or what it did for Pizza Hut's sales! A crowd of a little over a hundred saw a new FA Cup record set on 31st August 2005 after a Preliminary Round replay between Tunbridge Wells and Littlehampton Town ended in a draw. Two penalties were scored in the match itself and in the subsequent penalty decider another 40 penalties were taken with Tunbridge Wells winning 16-15. The match kicked off at 7.45pm and finished at 10.55. The record for the FA Cup proper was set on Wednesday December 17th 2014 when Scunthorpe United won 14-13 at non-leaguers Worcester City in a Second Round replay. The 27 successful attempts were scored from a total of 32 penalties taken. The previous record in the FA Cup proper was set on 28th November 2001 in the First Round replay between Forest Green Rovers of the Conference and Third Division Macclesfield Town. A total of 24 spot-kicks were taken with Macclesfield winning 11-10. Macclesfield's Rickie Lambert missed one of the penalties in that match and amazingly 13 years later was in the Liverpool team which set a record League Cup penalty shoot-out scoreline (see below) although was substituted before the penalties were taken. The highest in the League Cup was set in the Derby County v Carlisle 2nd Round tie on Tuesday August 23rd 2016 when at the end of 32 penalties Derby were the 14-13 victors. The previous League Cup record was set at Anfield on Tuesday September 23rd 2014 in the Capital One Cup Third Round tie between Liverpool and Middlesbrough. A penalty in the closing seconds of extra time gave Middlesbrough a 2-2 draw on the night and then followed 30 penalties with Liverpool finishing victorious 14-13 with 20 of the penalties being converted on the trot. A Southern Section First Round match in the Johnstone's Paint Trophy between Leyton Orient and Dagenham & Redbridge on 7th September 2011 saw Dagenham win 14-13 on penalties. Amazingly in that match the first 27 penalties were all converted before Dagenham 'keeper James Shea saved Ben Chorley's effort to give Dagenham their victory. Those 27 penalties scored by Leyton Orient and Dagenham was a record for most penalties taken without a miss in England at the time but was bettered in a Hampshire Senior Cup match between Brockenhurst and Andover Town on 9th October 2013. The first 29 penalties were all scored but the 30th was saved to give Brockenhurst a 15-14 win. The 32 penalty shoot-outs witnessed at the Worcester v Scunthorpe FA Cup tie in 2014 and the Derby v Carlisle League Cup tie two years later remained as senior records in English football until the Checkatrade match between the Chelsea Academy side and Oxford United on Tuesday November 8th 2016. A 5200 Stamford Bridge crowd saw the sides level 1-1 at the final whistle and then after a total of 34 penalty kicks Chelsea were the 13-12 winners. Well that's considered the record but does an a match played by an Academy side in the Checkatrade Trophy count as a senior match I wonder? Its not just the England senior side who suffer from the shoot-out blues. In June 2007 England Under 21s were up against hosts Netherlands in the semi-final of the European Under 21 championships and the match went to penalties. With Chris Waddle and Stuart Pearce watching (how's that for a bad omen!) the shoot-out consisted of 32 penalties of which 25 were scored. But 13 of them were against England who lost 13-12.